First things first, it is assumed that you know how to use a terminal on your machine, if you're unfamiliar with the terminal, best get familiar with that first. You're also going to want to use Node 8 as this is the current LTS (long term support) version. We're going to use yarn instead of npm to ensure our dependencies are in lock step. The above command will add broccoli and broccoli-cli as dev dependencies of your project. The CLI tool can also be installed globally if you wish, it just checks some basic dependencies in the current project before running the main broccoli library. You can now use yarn build and yarn serve for convenience. "serve": "node $NODE_DEBUG_OPTION $(which broccoli) serve"
After this, you'll need the files in this directory. Once you have those in your project, you'll see the Build - Debug and Serve - Debug in your debug tab, see the VSCode docs for more details on debugging. Select Run > Edit Configurations from the menu bar, click the + in the top right hand corner, and select npm. Name the configuration Build, ensure run is selected in the command entry, and select build from the scripts dropdown, and hit apply. Repeat for the serve script. Broccoli uses a file called Brocfile.js that must live in the root of your project, this is what will contain your build pipeline. 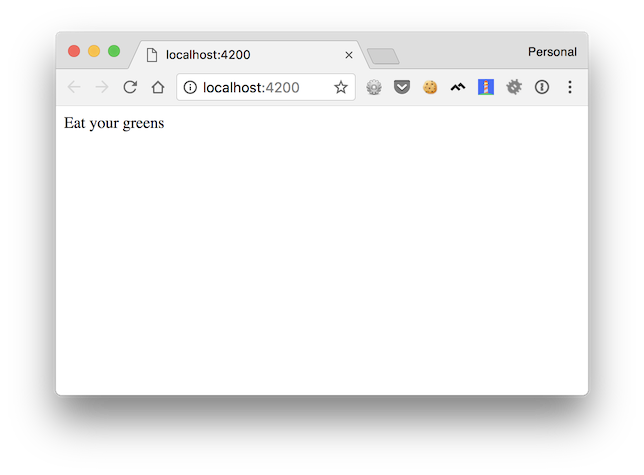 Next, create a directory app within the project, and add a index.html file with the contents Eat your greens!. The initial setup of this tutorial merely copies files from the input app directory by exporting the string app. The Brocfile.js contains the Broccoli configuration for the build. The module.exports line must export a Broccoli tree. "But it's a string" you say, yes, Broccoli will automatically convert a string into a source node, and on build, validate that the directory exists. In this case, the Brocfile merely exports a single tree, containing the contents of the app directory, this will then be copied to the destination directory (dist in our case). This yarn command will remove any previous builds, and run a new build, outputting to the dist directory. Broccoli doesn't remove previous builds by default, so we must remove it before starting a new build. Great, your first Broccoli build is complete, pat yourself on the back 👏.